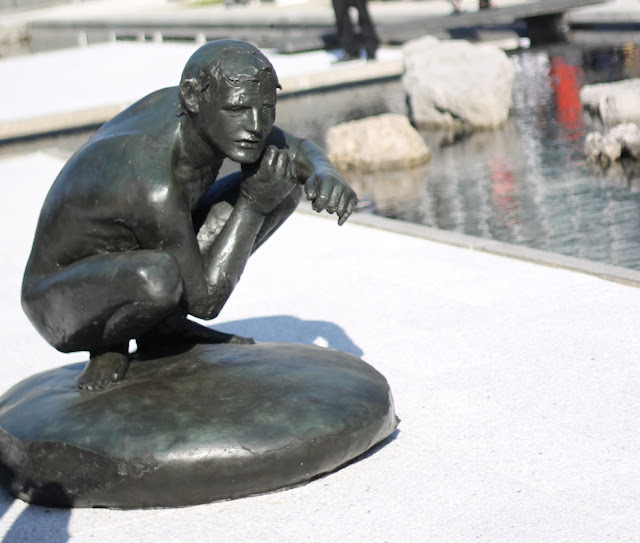 I've long admired the architecture of the McGregor Memorial Conference Center at Wayne State University and always wondered when or if the adjacent reflecting pool would be restored. That day has finally arrived and I wanted to be sure I was present for the unveiling. 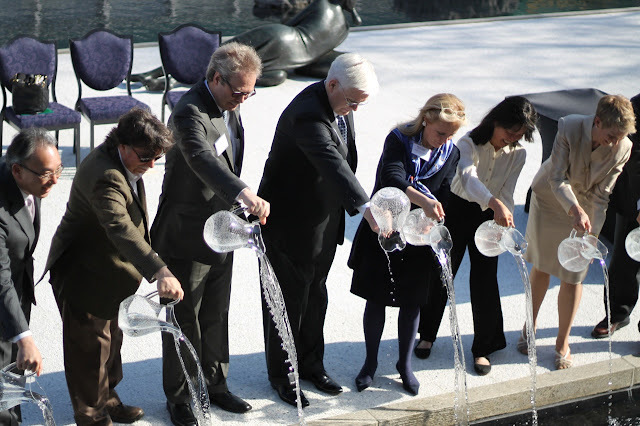 On May 1st, the McGregor Memorial Conference Center's reflecting pool designed by esteemed architect Minoru Yamasaki was re-dedicated and revealed. 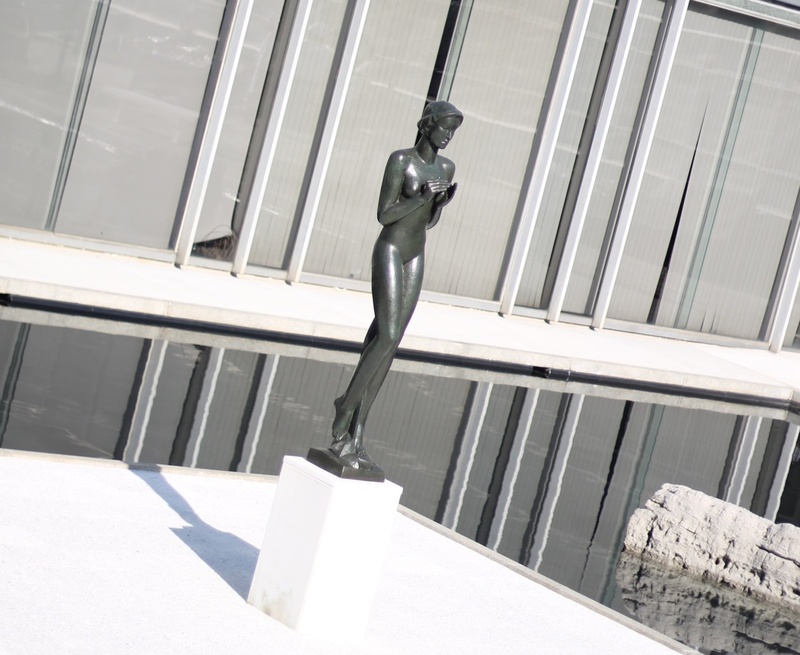 The reflecting pool and sculpture gardens were originally constructed in 1957-58 under Yamasaki's vision of "an island of urban delight". 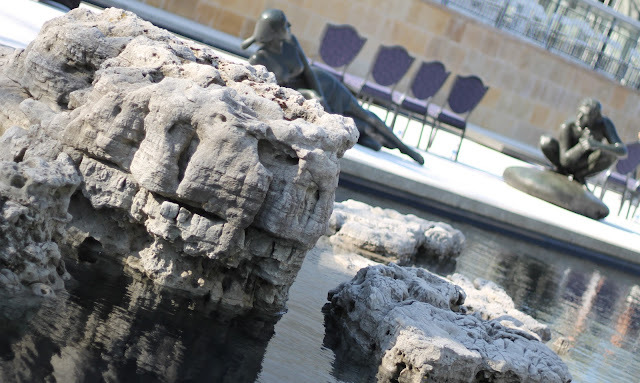 This nearly $2-million revitalization was made possible by donor gifts, beautification funds and will be upkeep largely by an endowed fund created by WSU alumna Carol Jonson. 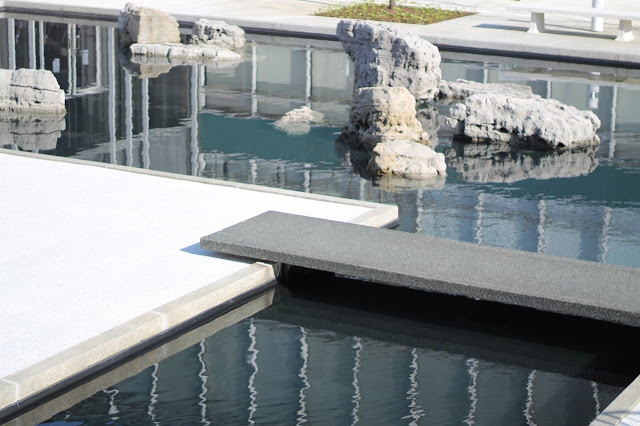 The reflecting pools honor and reflect Yamasaki's original designs and feature original sculptures and artwork placed in the original areas of the space. Honorable speakers, WSU's President Allan Gilmore, Carol Yamasaki, daughter of Minoru Yamasaki and WSU Instructor, Kuninori Matsuda, Consul General of Japan in Detroit, and members of WSU's Board of Governors spoke of how important this revitalization was to the Yamasaki legacy. A ceremonial pouring of water into the pond concluded the ceremony and a beautiful reception commenced, with music from a string quartet and the serving of gourmet hors d'oeuvres and cocktails.